ElizabethEdwards Christopher Morton - Elizabeth^^EdwardsA visual and historical anthropologist, Professor Edwards has worked extensively on the relationships between photography, anthropology and history, on the social practices of photography, on the materiality of photographs and on photography and historical imagination. She has previously held posts as Curator of Photographs at Pitt Rivers Museum and lecturer in visual anthropology at the University of Oxford, and at the University of the Arts London. In addition to major monographs, she has published over 80 essays in journals and exhibition catalogues over the years, is on the board of major journals in the field including Visual Studies and History of Photography. She serves on numerous academic committees and peer-review colleges, was Vice-President of the Royal Anthropological Institute 2009-12 and in spring 2012 held a Fellowship at the Institute of Advanced Study, University of Durham. With colleagues in the Netherlands and Norway, she undertook a major HERA/European-funded project on the role of the photographic legacy of the colonial past in contemporary Europe. 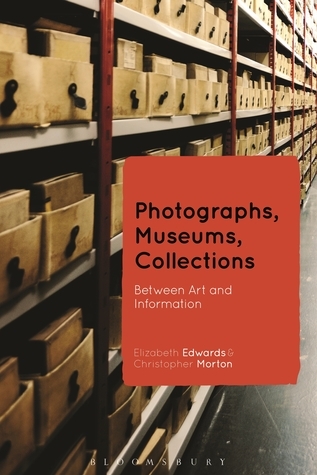 She is currently working on late nineteenth and early twentieth century photographic societies and networks of photographic knowledge, on the market in ‘ethnographic’ photographs across scientific and popular domains in the nineteenth century, and the relationship between photography and historical method.